MEXICO CITY (Reuters) - Colombia has formally requested permission to join the Comprehensive and Progressive Agreement for Trans-Pacific Partnership (CPTPP), Mexico’s Economy Minister Ildefonso Guajardo said on Friday. Guajardo was speaking at a news conference alongside Colombia’s Foreign Minister Maria Angela Holguin and Mexican Foreign Minister Luis Videgaray in Mexico City. 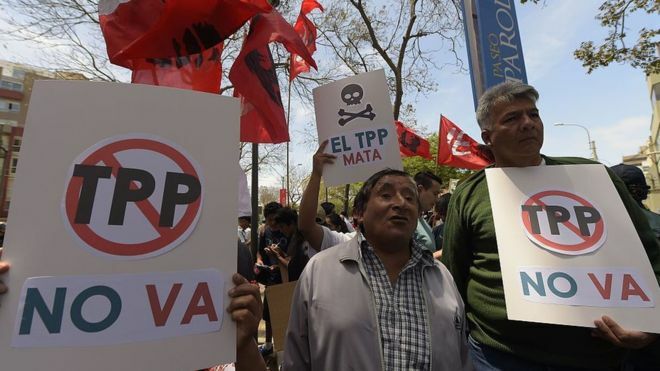 The CPTPP has replaced the Trans-Pacific Partnership (TPP), which was thrown into question early last year when U.S. President Donald Trump withdrew from the deal after his inauguration.